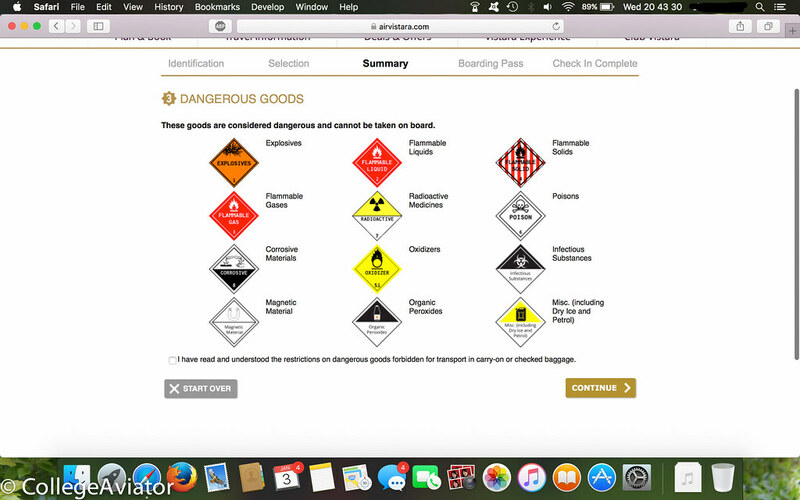 So then, the first trip report of 2018 (hallelujah! ), the return trek. 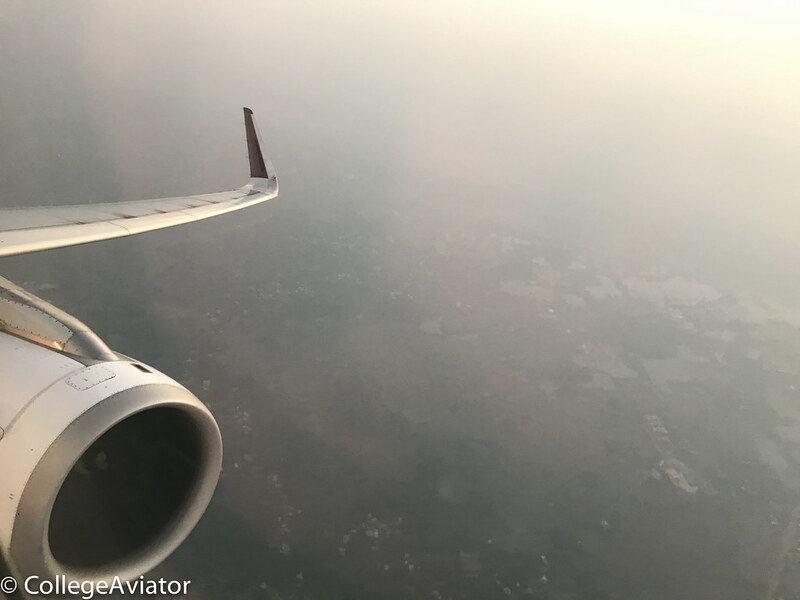 The itinerary was quite simple this time: a simple JFK-DEL-JFK on British Airways, which meant a simple DEL-CCU-DEL on Air India. Timings worked well for 2 x B787s on the latter with AI401 already reported on, and the the return on AI701 departing Kolkata at 1730 and reaching New Delhi at 1950 giving me an ample 6 hours in between flights barring no significant delays. 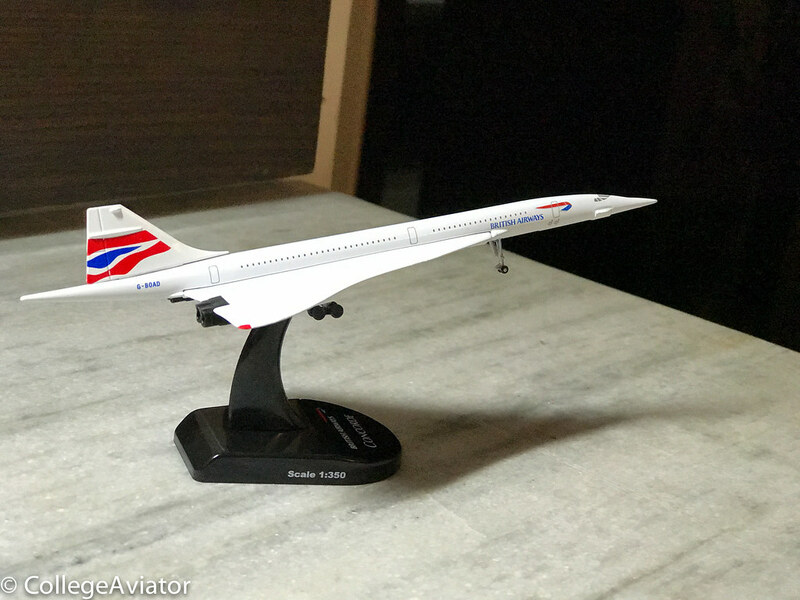 My flight from Kolkata would depart on January 5th, with the BA departure at 2am on January 6th. However, things unravelled. 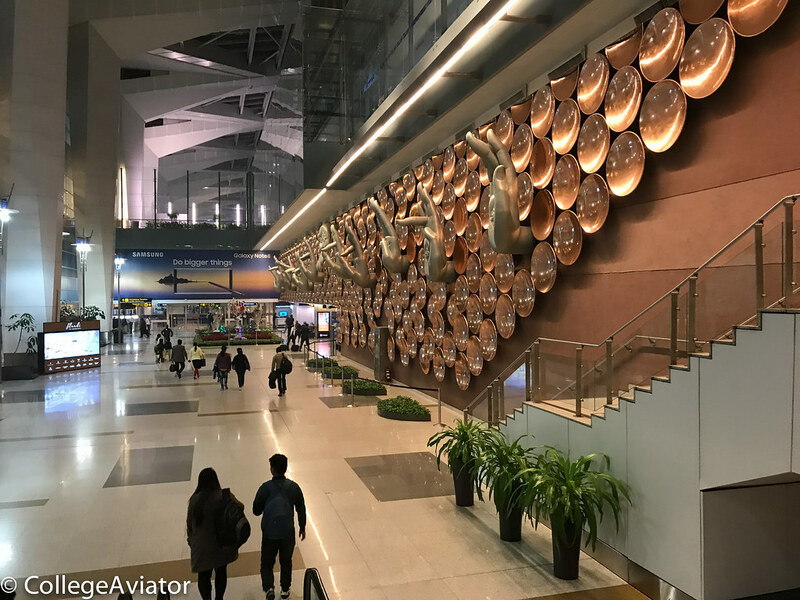 New Delhi’s Indira Gandhi Airport, the world’s 16th busiest & India’s busiest was closed for a good 3 hours on January 1st 2018. 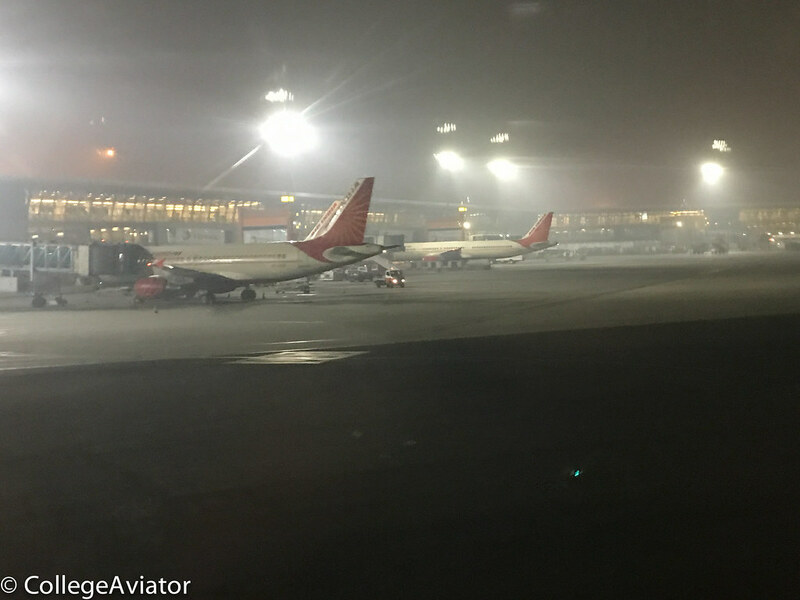 Smog - the winter & New Year’s celebrations meant that even CAT III/C ILS could not be used for landings. An unfortunate state of affairs. 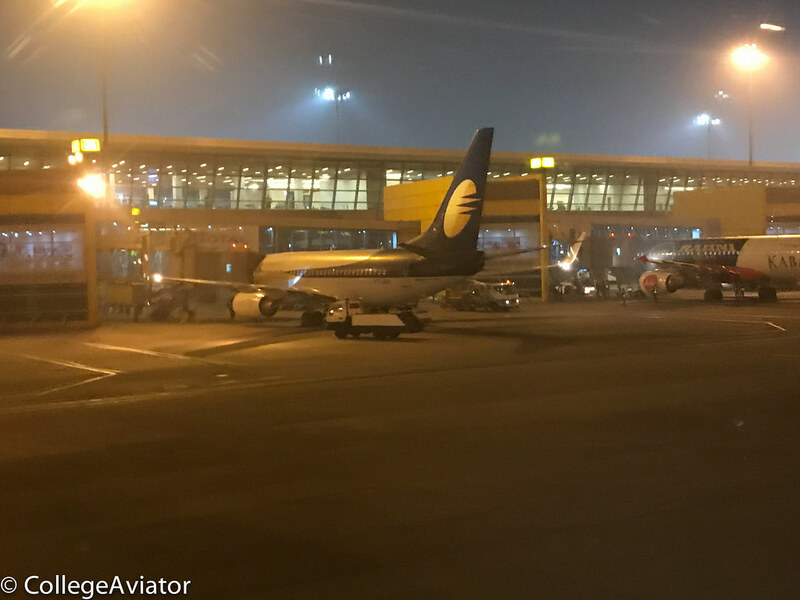 In fact, that night the Lufthansa A380 had to divert to Hyderabad, but the British Airways and KLM B747s made it in & out of Delhi after circling for about 45 minutes, with respective delays. 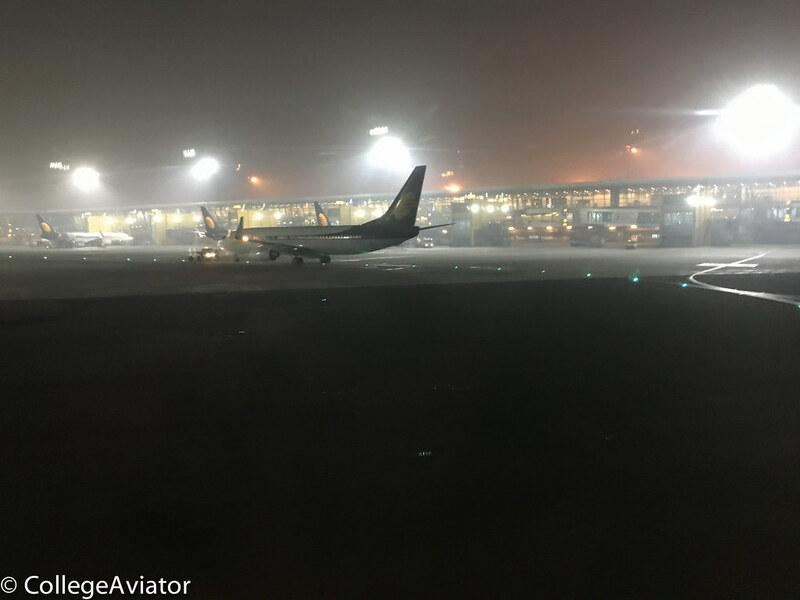 The next couple of days I would wake up at 4am instinctively to check the METAR and TAF at New Delhi Indira Gandhi International. Visibility needed to be 0.2 miles or greater to see BA142 to London depart. And so was the case for a few days: 0.0miles, 0.1miles, the flight would go delayed about 45 minutes. Weather at DEL was a factor, too. The great blizzard showed up in New York & Boston. These cities (among others) came to a standstill, airports were closed. JFK cancelled several flights. I was now in such a pickle. Will I even make it to JFK on schedule? Will my JFK departure the following day even depart? 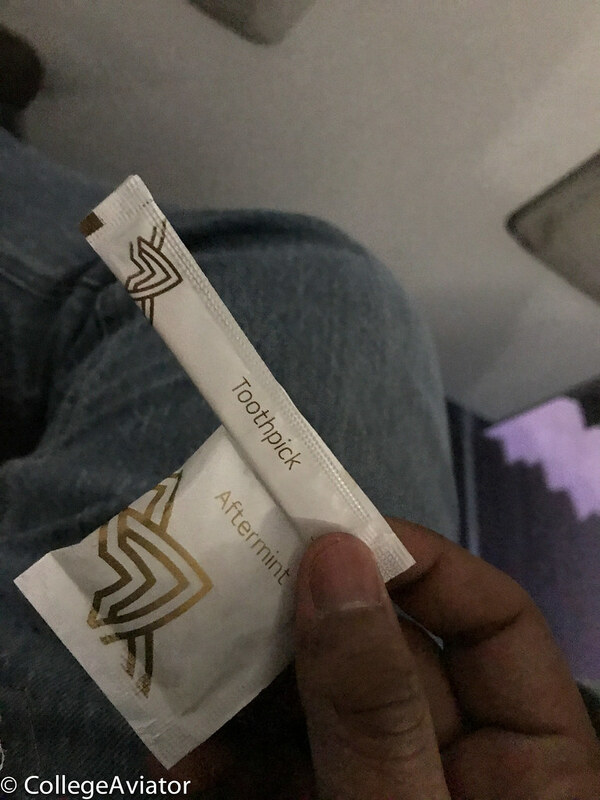 And knowing how airline employees like to keep passengers hanging especially in the USA, how fucked am I? There was way too much to handle. 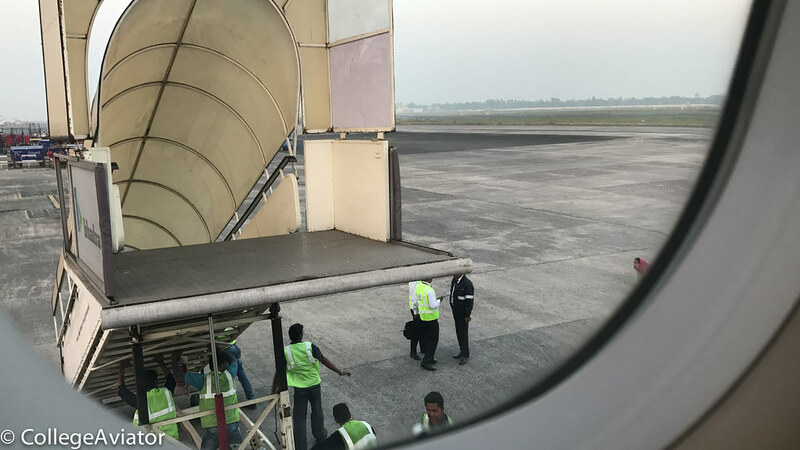 Air India had their own set of issues: as per FR24 AI701 was delayed by 4 hours on December 31st, and 8 hours on January 3rd. Both situations putting me in a fix - I would not make the International flight (if that departed, even). Thanks to the delays that I have faced in USA domestic sectors, suffice to say I have been softened up a lot & even the smallest of delays make me really anxious. And when a delay IS announced one cannot tell if the flight will even depart at the new departure time. I was in for a tough one. I guess it is pretty bad that us avgeeks want to know what exactly is going on, or know recent past departure & arrival trends. I started to become a lot more conservative with these…. 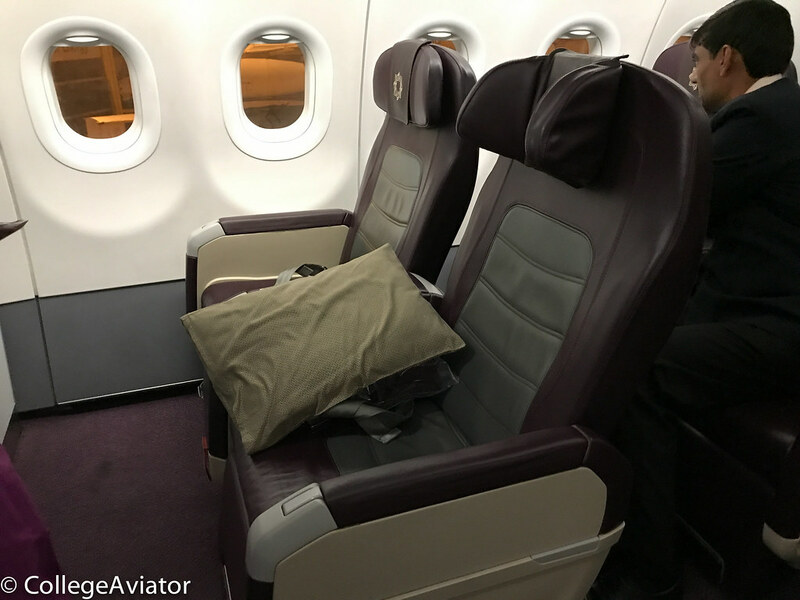 So in the end, it would either be a Premium Economy, or Business Class for Vistara. Well, I guess that’s one way to calm things down a little bit!! New addition from the Intrepid! Packing & goodbyes later I headed for the airport. 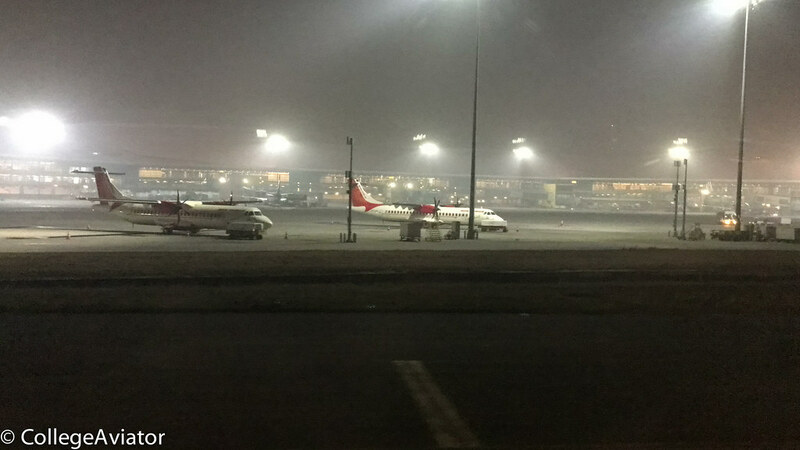 I was at NSCBI Airport @ 1456 hours, just over 2 hours before departure time. UK778 from Port Blair had departed all well & on time, no problem at all. 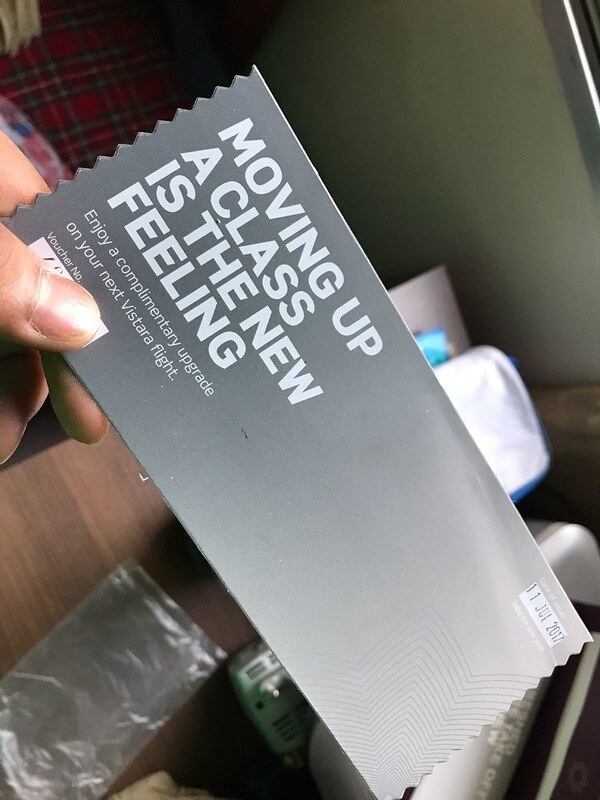 CHECK IN - AN UPGRADE!! 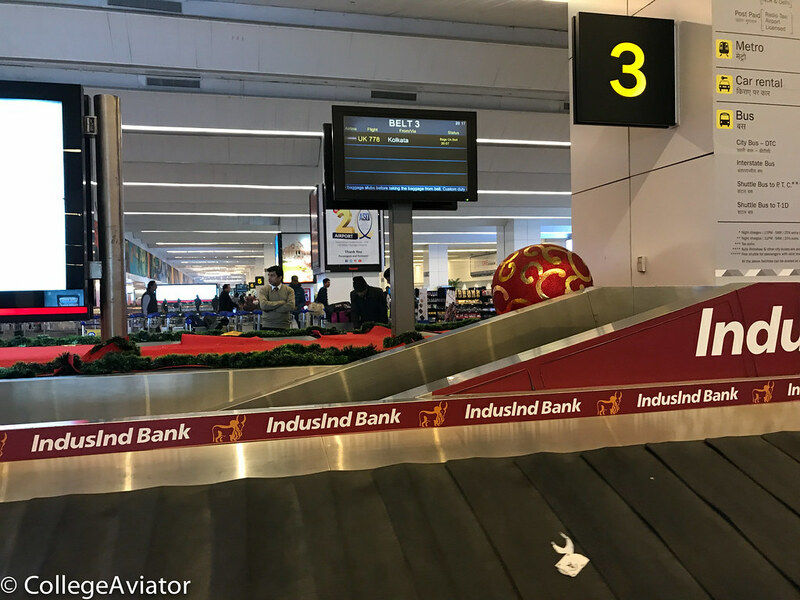 Baggage screening which is still a thing in Kolkata was next, but it didn’t take too long. 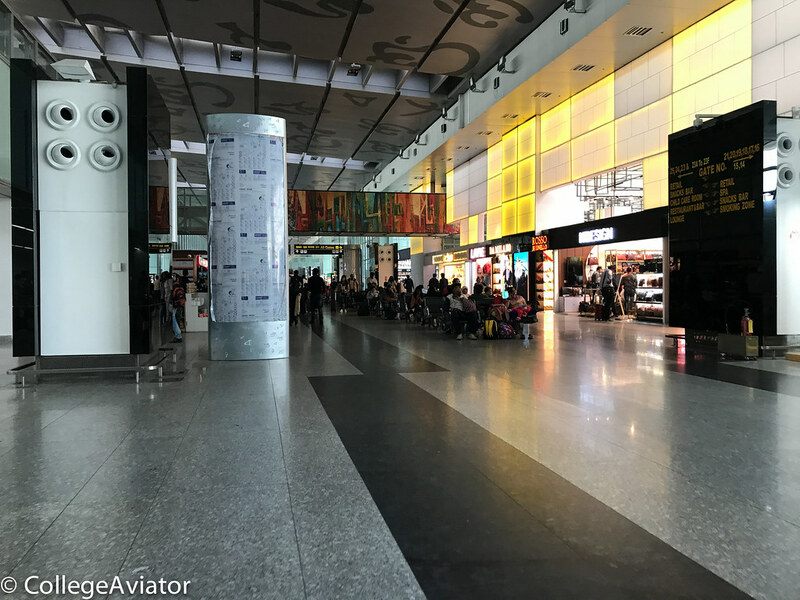 I was at Vistara’s premium check in counters in no time. The Economy class line did not look too full either. With no one in front I proceeded to hand over my luggage, with the ticket & upgrade voucher, hoping for the best. ‘Sir would one alpha work for you?’ the lovely check in staff asked. ‘Oh yes please!’ as my business class seat was confirmed. Hooray! Boarding pass & lounge voucher handed to me I headed for security. 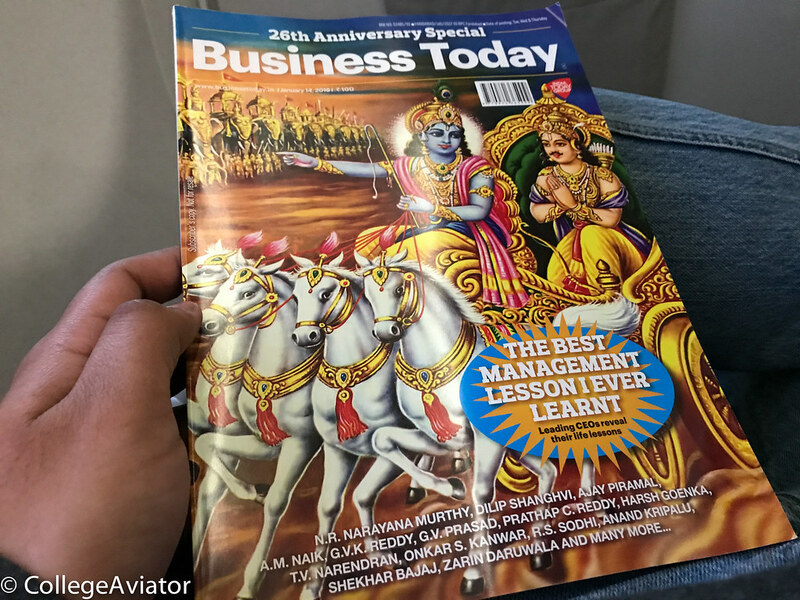 This was going to be my first flight in business class in 2.5 years, the last one being Chennai to Mumbai on Jet Airways. Security took 15 minutes. 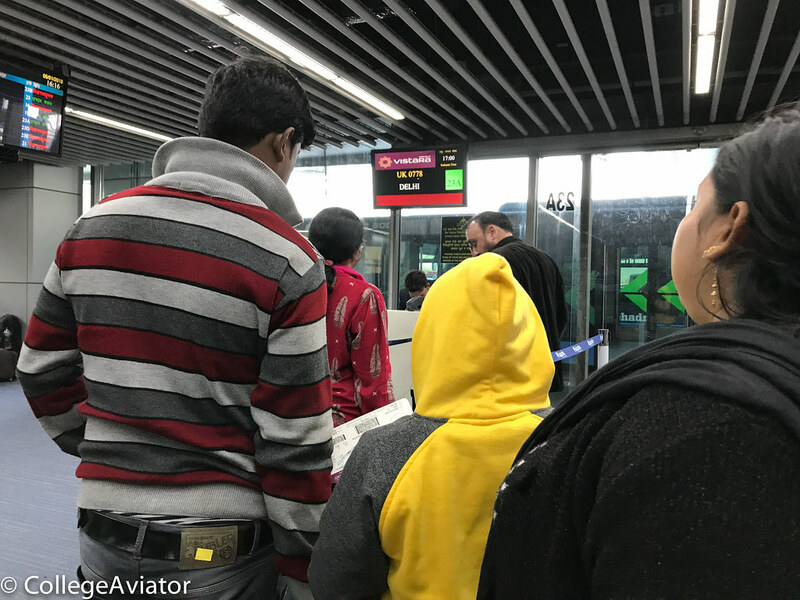 It was quite disorganized, however that was mostly down to the passengers not following the general rules of being in line. Oh well. 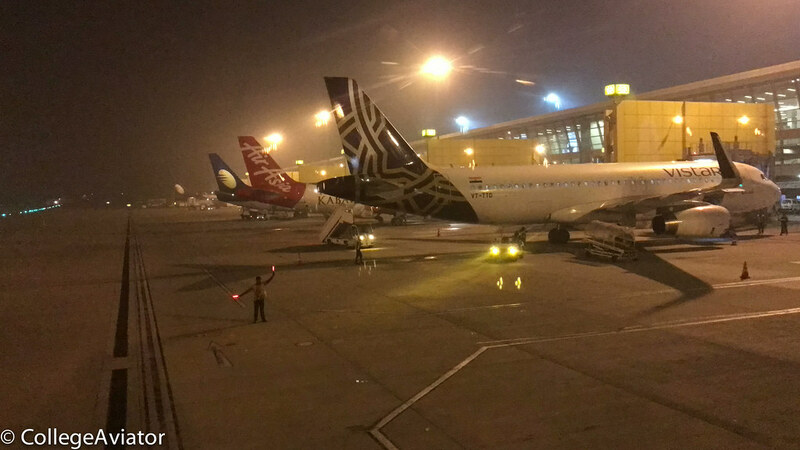 I saw several passengers with boarding passes for AI701 to New Delhi: my originally planned light. Headed for the lounge, the one and only TFS Lounge on the 2nd floor. Unfortunately, this was completely packed. 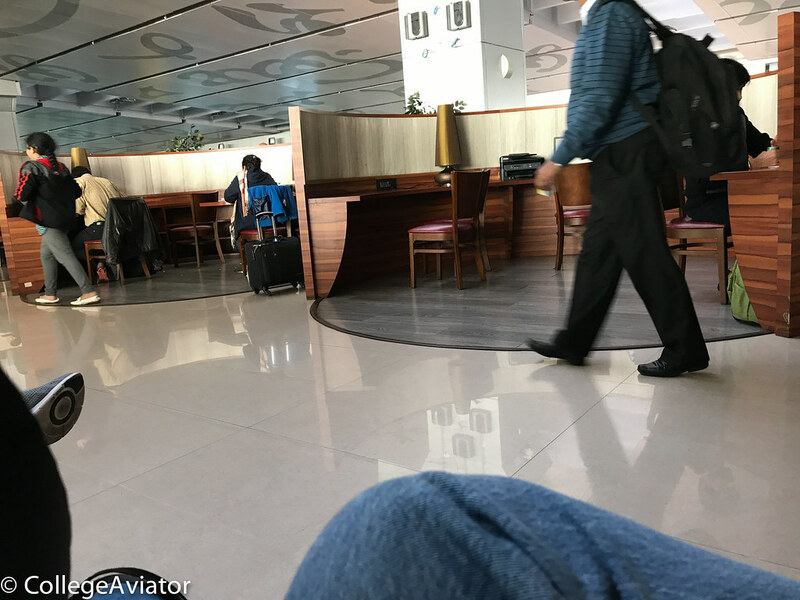 I took the one chair to sit after asking the people to (kindly) move their bags and stuff because it was taking up space that people could use to sit on. They grudgingly did so. I took my seat, and let my mind wander places. 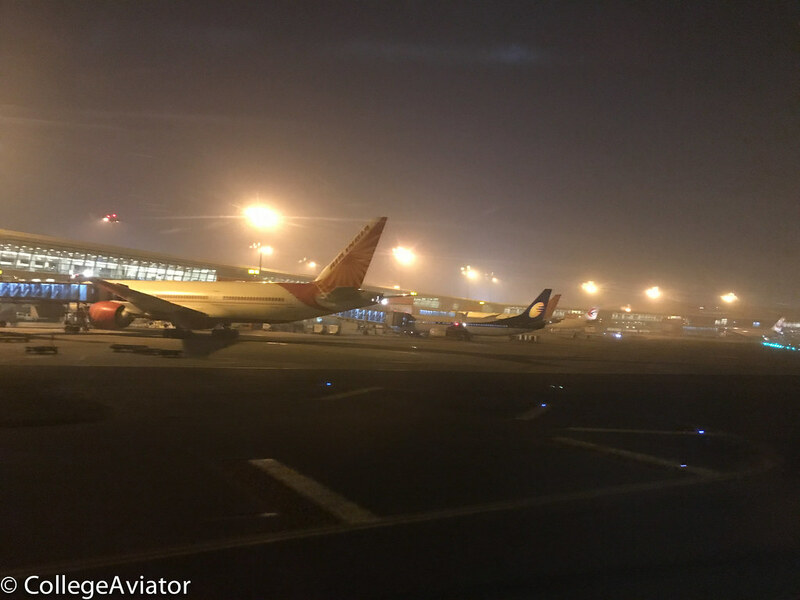 What if fog renders visibility to be 0.0 miles again in Delhi? JFK opened, yes, but how many of the flights have been cancelled? Several of them were AA/BA flights as well - but will I make it on a rebooked flight? Will it get me in time to make Delta’s flight to Minneapolis? And what about the revised Delta itinerary? [/b] Amongst all things I was surprised to see Grand Forks report normal VFR weather amongst all of this good stuff. I needed to distract myself, because step 1 was underway: the positioning flight to New Delhi was still on schedule. Everything looked well here. Killed an hour in the lounge - I headed for the departure gate. It was 1613 hours, 47min to departure. 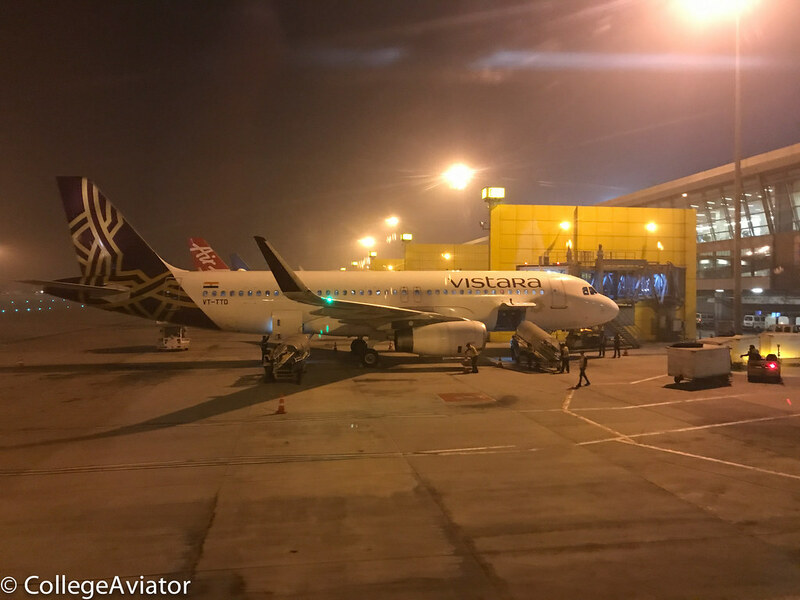 Gate 23A is a bus gate, for whatever reason Vistara does not get a jet bridge at this time of day. Meanwhile, VT-ANG the 787 from New Delhi that would later operate as AI701 also showed up just fine and on time. Did my investment go wrong? 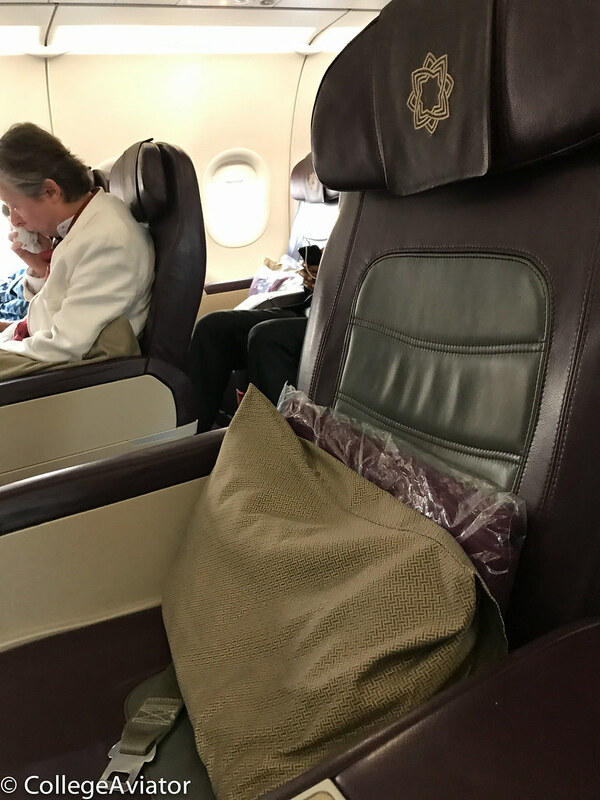 I was thinking not - paid a premium economy fare for Business Class, not bad at all. Boarding was called for everyone, no priority. That’s okay - be me one who relishes even flying in Economy was quite used to this. That being said the coach was absolutely stuffed to the brim with passengers. A cost saving thing, I guess. It was a bit of a drive to the other side of the tarmac where VT-TTC was parked. 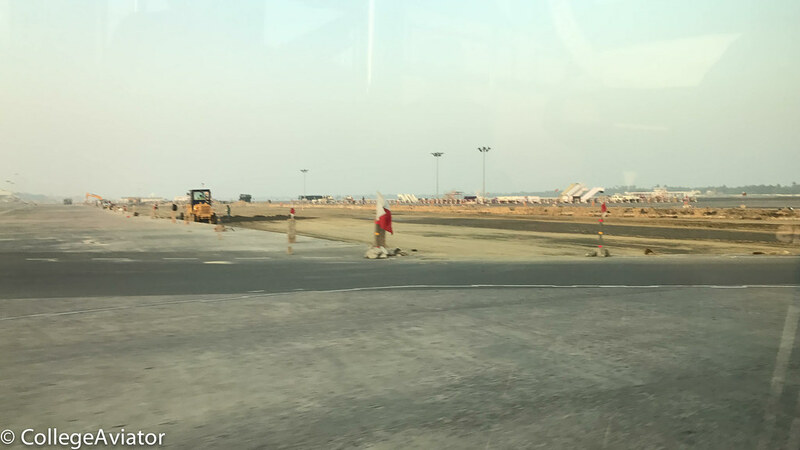 There was some taxiway construction as well. 30 minutes before departure time us passengers disembarked from the coach. 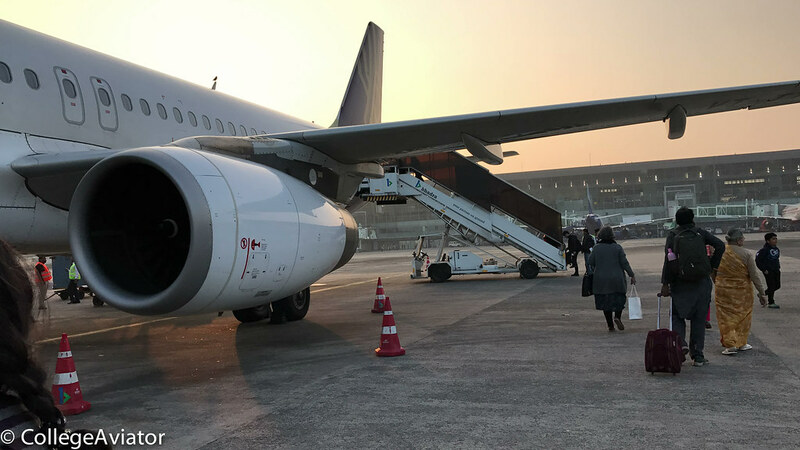 I took my time - hey one always enjoys a tarmac boarding & the picture opportunities that come with! 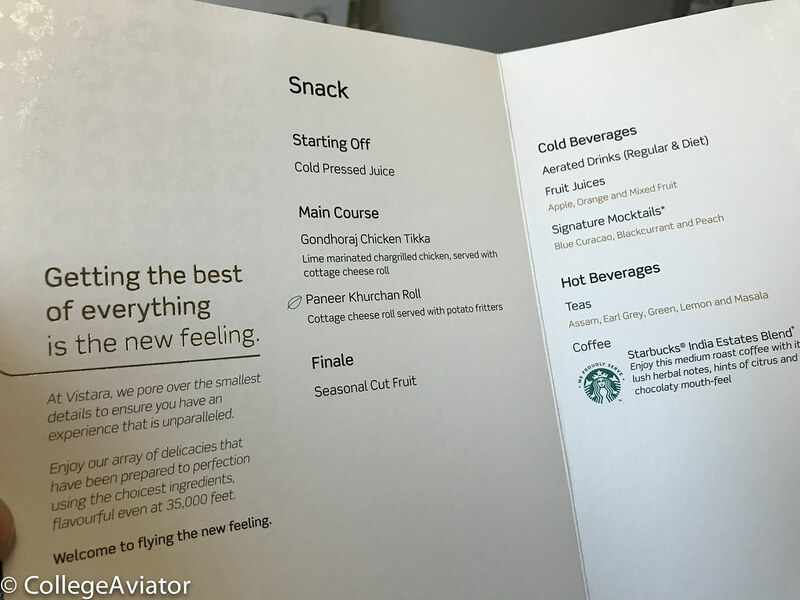 ONBOARD - THE NEW FEELING OF BUSINESS CLASS! Crew were generally quite welcoming - as I took my throne 1A. There were 3 others in business who had been onboard since Port Blair, I was the only one who boarded in CCU. As more passengers boarded, a new front office crew joined us. 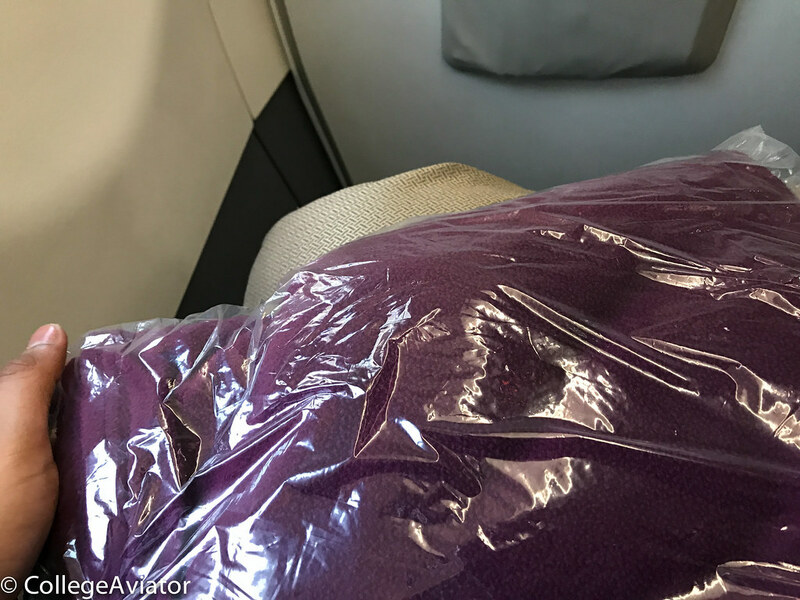 Pillow & blanket, the plushy & comfy seat! 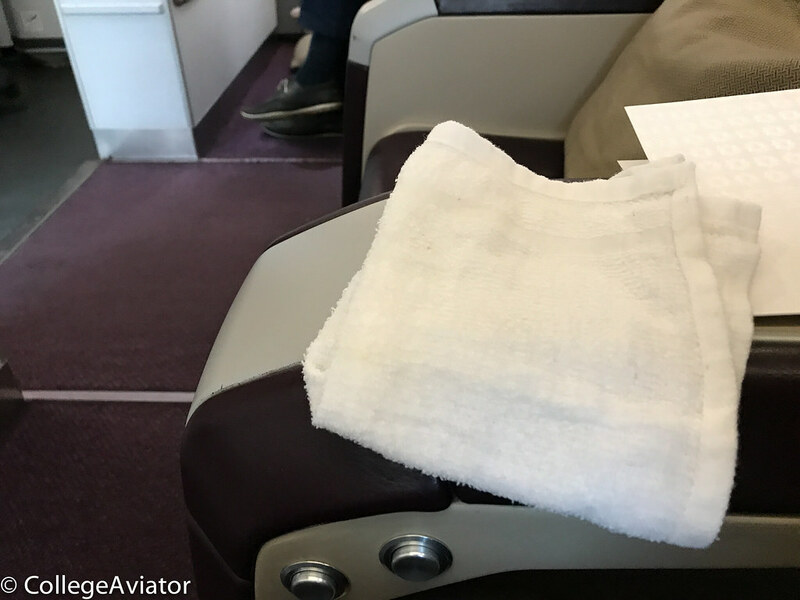 In the meantime, the crew pampered me with a warm towel, a choice of coconut juice, orange juice or water, and handed me the menu. 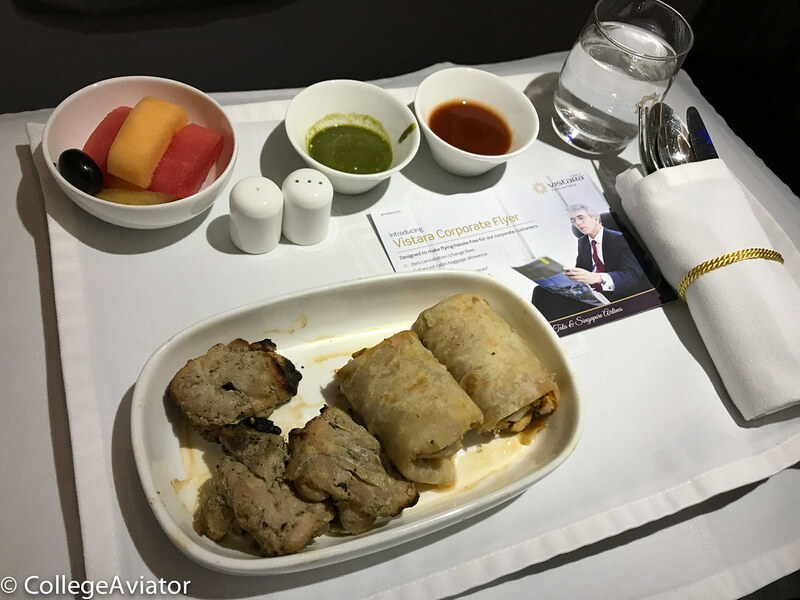 I was a touch underwhelmed by the options in the menu: Vistara came in to the scene promising 4 options in Business Class, but here I was with just the two. The usual vegetarian or non vegetarian, in a nutshell. 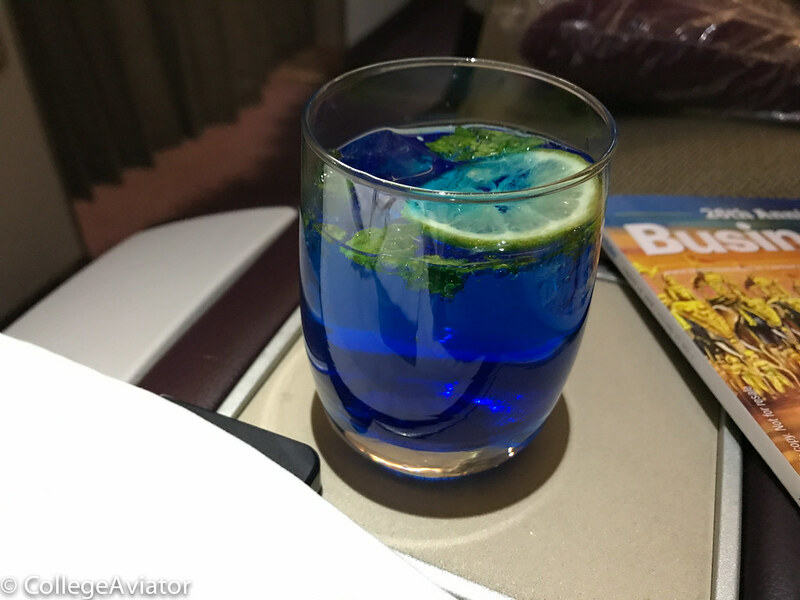 I went for the gondhoraj chicken tikka with blue curaçao as my drink. Coconut water - in the winter? Sure, why not. Warm towel - much needed. Captain Virendra Lali came around over in the PA system after wishing us a happy new year: it would be a solid 2hr15min flight westbound towards New Delhi, which was reporting low visibility (as expected) at 700 meters (0.4 miles) and perhaps some delays due to congestion, but all in all it’d be relatively smooth, some CAT around. 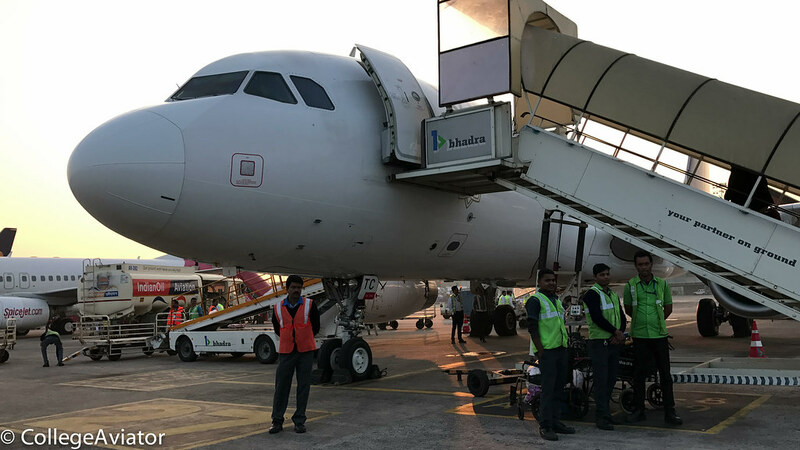 Monica was the cabin supervisor, and first officer Mahesh Sharma was alongside. 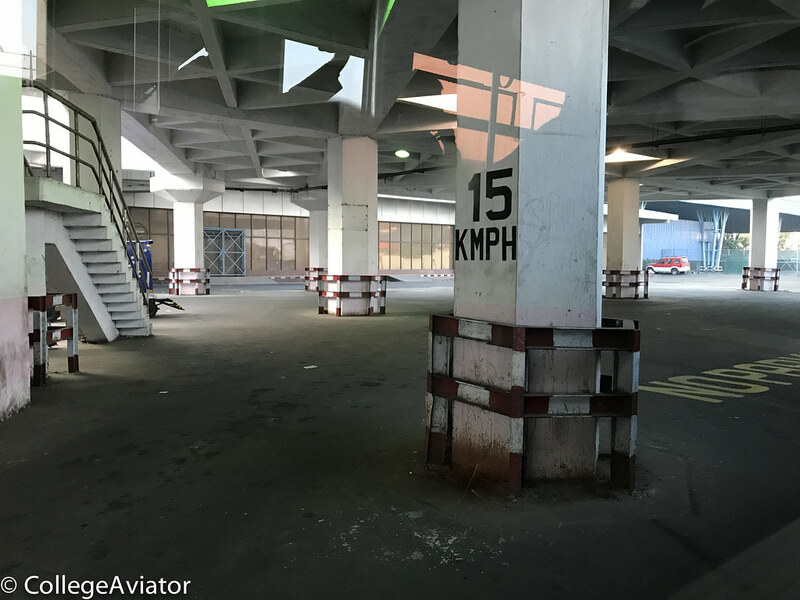 No need for a pushback due to the nature of the parking bay. I have departed from a similar bay on several different occasions out of CCU, and yet the one time I was onboard an ATR-42 in December 2006 a pushback was needed. Interesting! Engines fired up at 1655 hours (5min before departure) as the safety demonstration was one. I was happy to know that step one was going as planned, so far so good. 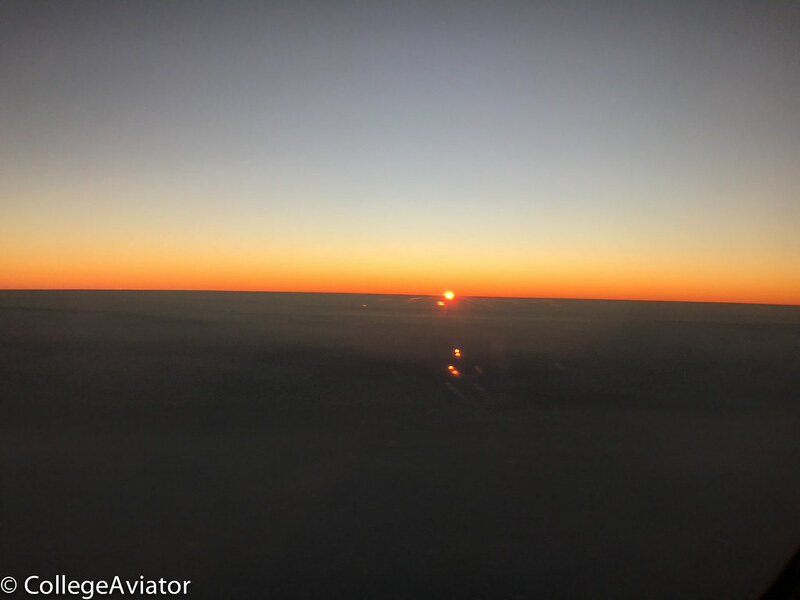 It was a busy time as the last of the sun dipped below the horizon: the next time I see the sun will be enroute to London Heathrow. Lined up on runway 01R at 1705 before the IAE V2527-A5 engines made some fantastic sounds taking to the skies. 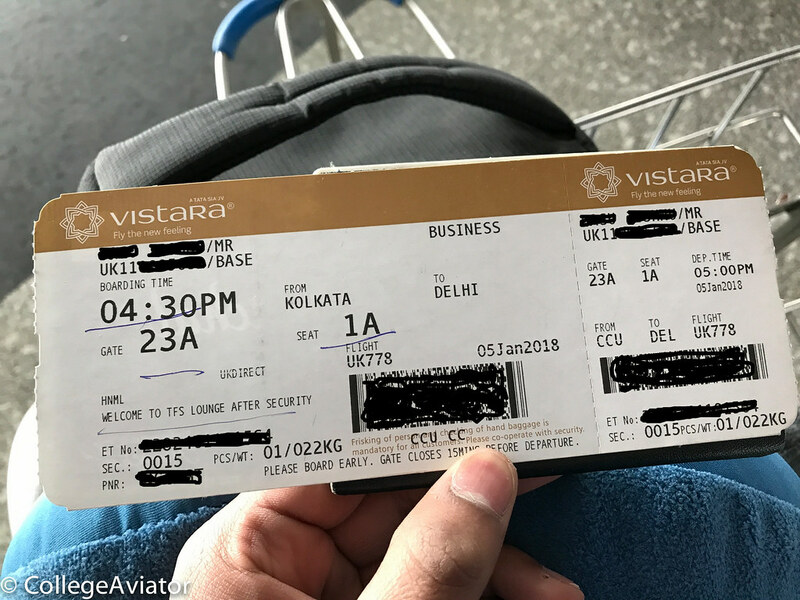 Seeing VT-ANG at gate 16 felt like getting a earful, but I was looking forward to my first ever business class experience on Vistara. Racing the sun we reached our altitude of 34000 feet. As we climbed up the crew went around distributing magazines. These were offered on a tray, but when I declined initially it felt like it was a little forced to take a magazine. Oh well. The crew wasted no time in setting up my tray table: Monica and her crew had only me to serve, rather embarrassingly I was the only one having a meal on this sector, with the rest of the 3 Port Blair folk skipping it and taking a nap. I can’t blame them: 5.5 hours on the same plane, and no where to go but be onboard. 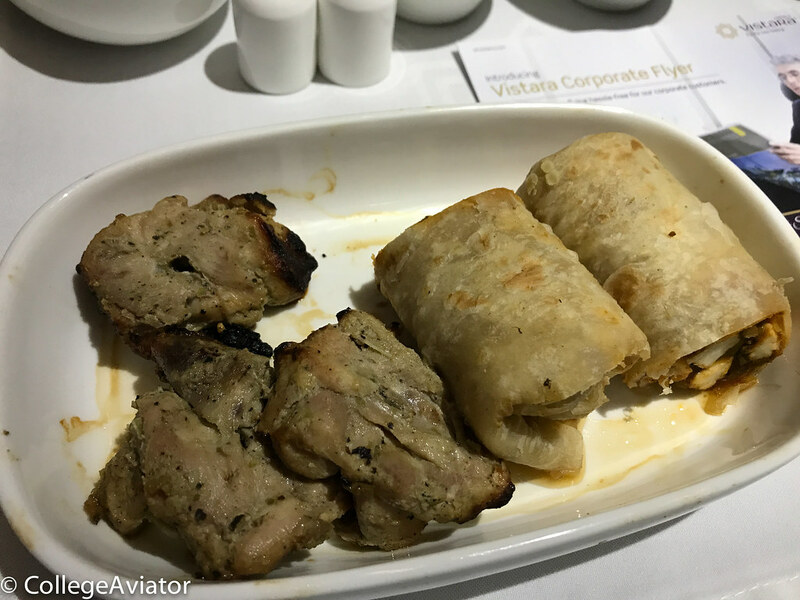 Food was served to me on a tray: fruits, mini salt and pepper shakers, two chutneys (dips…), silverware bundled up nice & cozy, an advertisement for Vistara corporate and of course the main course. There were three pieces of juicy & tender, while the roll was pretty alright, nothing extra-ordinary. 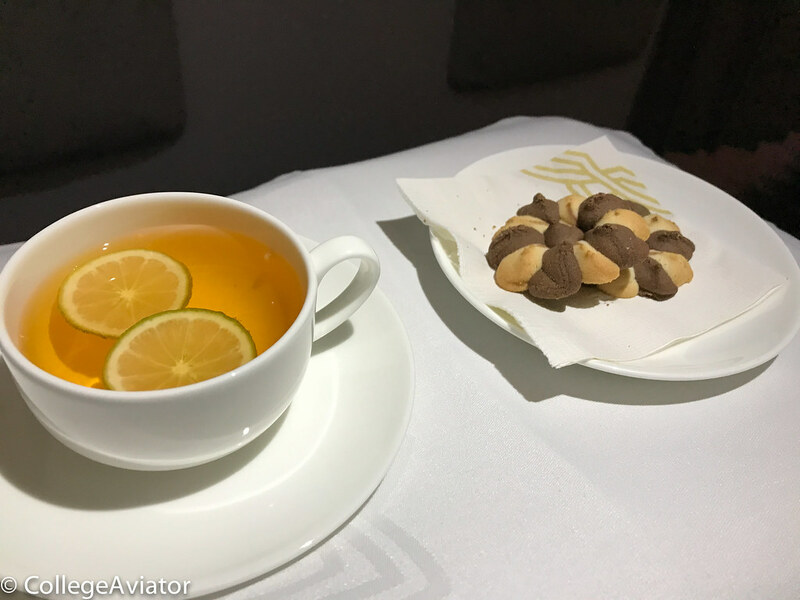 A small meal - given the time of flight - but reasonable. I felt the blue curaçao to be way sweet for my liking. 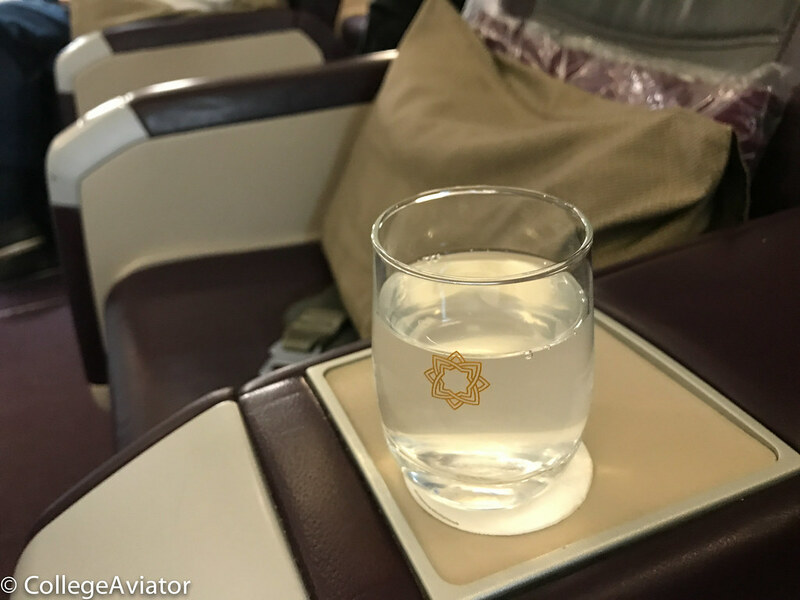 No alcohol on this one - India does not allow alcohol on domestic flights. 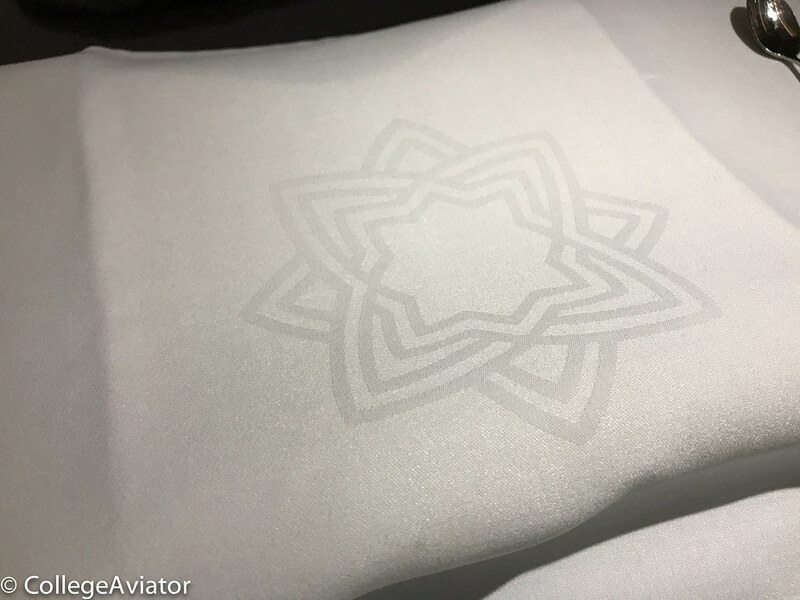 I love the little detail Vistara goes in to! To finish it off I had some decaf tea which was nice & light - I request for cookies was heeded to very efficiently. With everything cleaned away I headed to the restroom for a quick freshen up which eventually turned in to something of slight mental breakdown of sorts because of much I was NOT looking forward to the trip ahead. 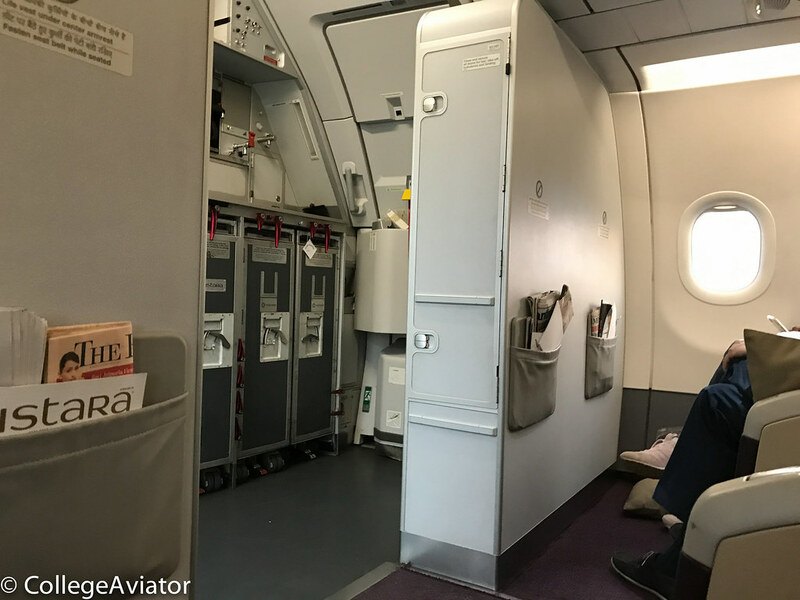 What followed next was a solid 45 minute nap on what I am now convinced is the most comfortable business class seat in Indian skies. * It reclined quite some ways back, it had an amazing leg rest. And with fleece blanket & plushy pillow - I was very comfortable. The crew were more interested in talking to the folk in 1D & 1F. I can’t blame them - I probably looked quite miserable to even bother starting a conversation with, oh well. I wanted to sleep anyway. First officer Sharma came over the details for arrival. We were about 35 minutes from arrival, but some delays were possible. 14C and 1km of visibility awaited us. Cabin crew prepared for landing, but my nap was so comfortable I did not want this flight to get over, but I’m glad the positioning flight went without a hitch. Toothpicks and after mints were handed out to the 4 of us up front. Headed to the lavatory real quick, before requesting a bottle of water which has handed to me in no time. 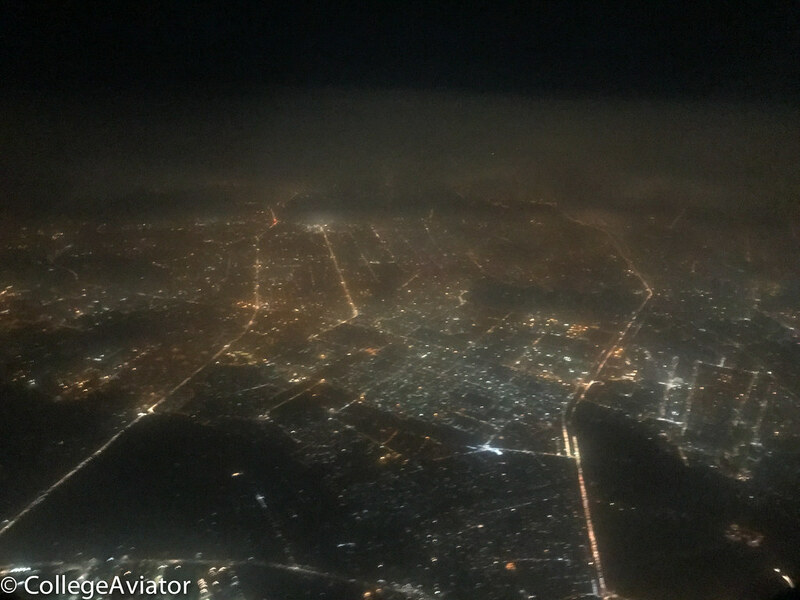 New Delhi was in sight from far above but one could see the fog rolling in. It was all about hoping it would be fine and that BA142 would depart on time. 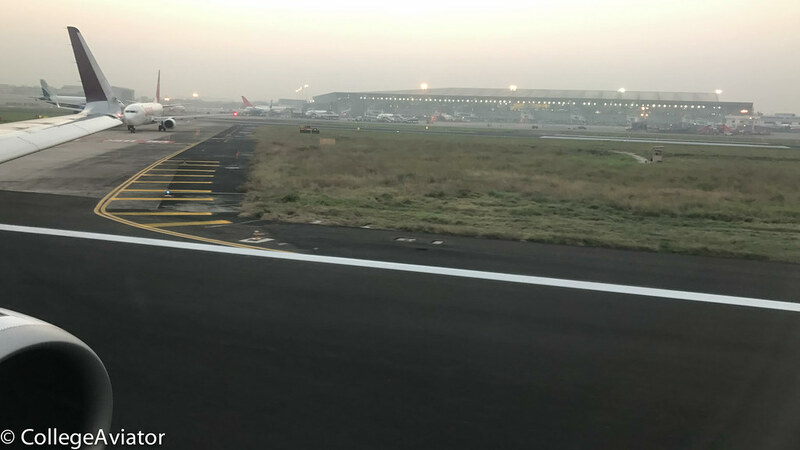 We lined up for a Runway 10 arrival, and Came down and touch down smoothly at 1940 hours, 2hr34min in flight (Yes, Kolkata - Mumbai is shorter at times!!). It was a long taxi past the international part of T3. Some Air India wide bodies were around which is always nice to see. 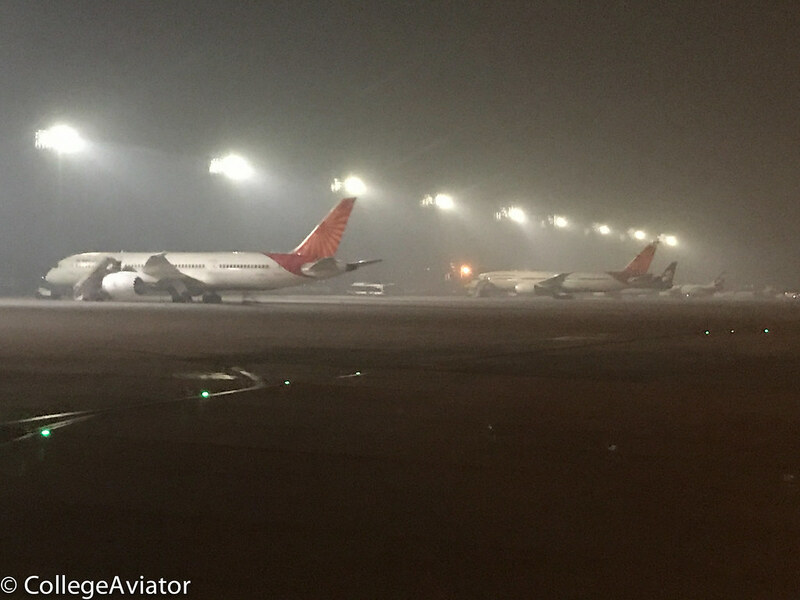 The crew apologized for the delays due to Delhi's congestion. China Eastern A330 - nice! 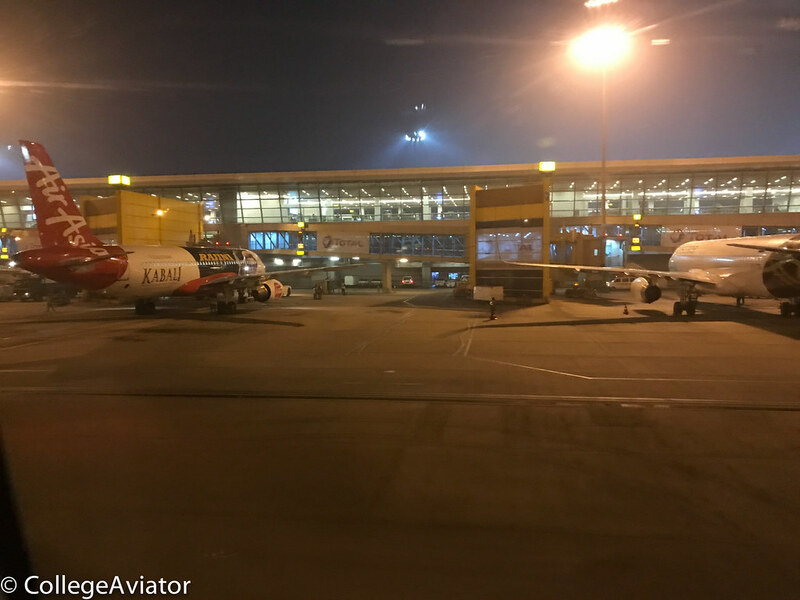 AirAsia India's VT-APJ: Kabali colors. 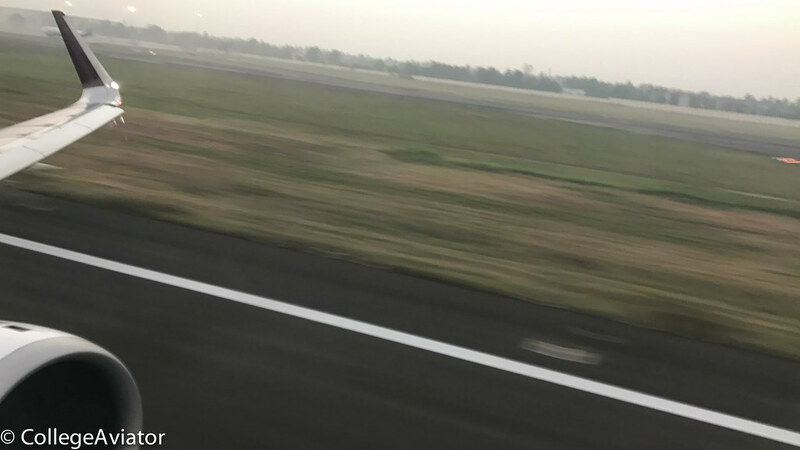 I saw her landing at CCU while driving up to CCU, before that head to IXR and eventually to Delhi. Wow, we're here for sure! 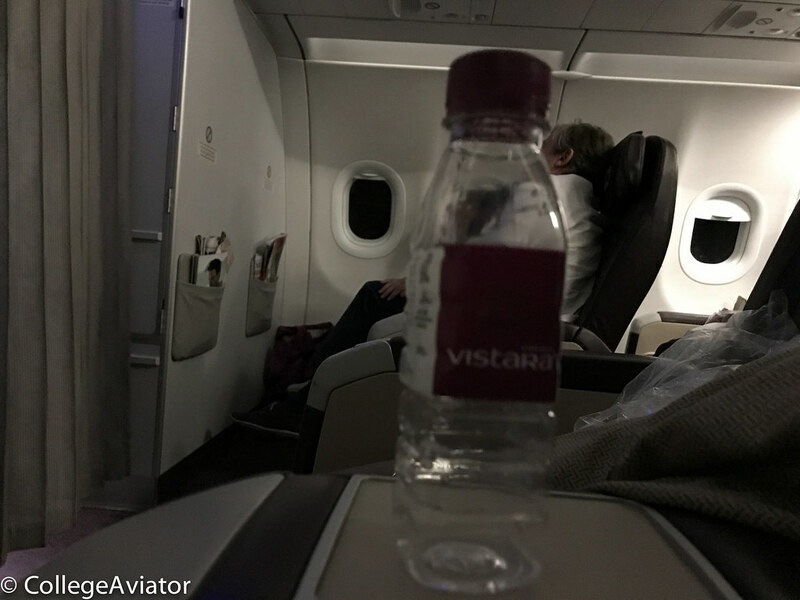 I quite like Vistara now! 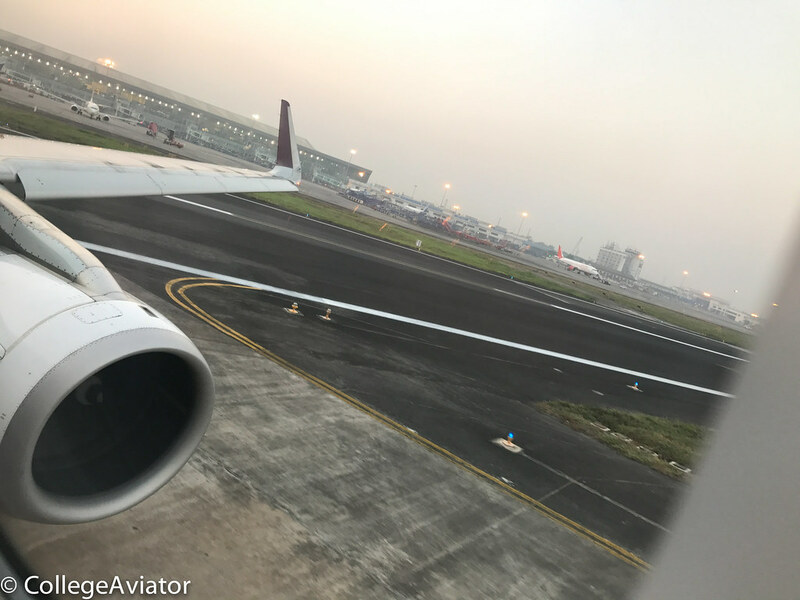 A long 18 minute taxi from exiting the runway to docking at Gate 42, us business class passengers were let out first, however now that I was in New Delhi I had plenty of time to kill before BA142. Amazing seats - love it! Well, that went better than it could've so...hooray?! 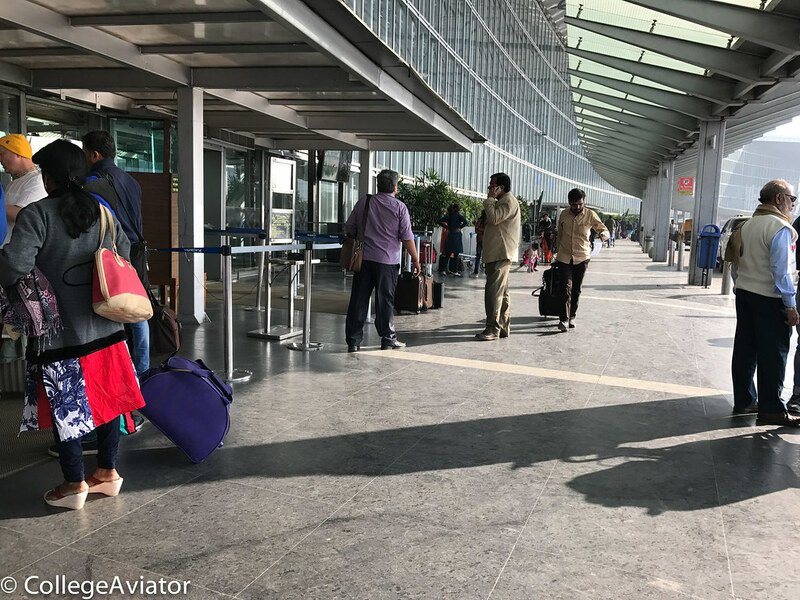 Got my suitcase and waited around by a coffee shop to connect to the internet: BA143 operated by G-CIVA had taken off from London well in time & was on course to reach Delhi before scheduled arrival. 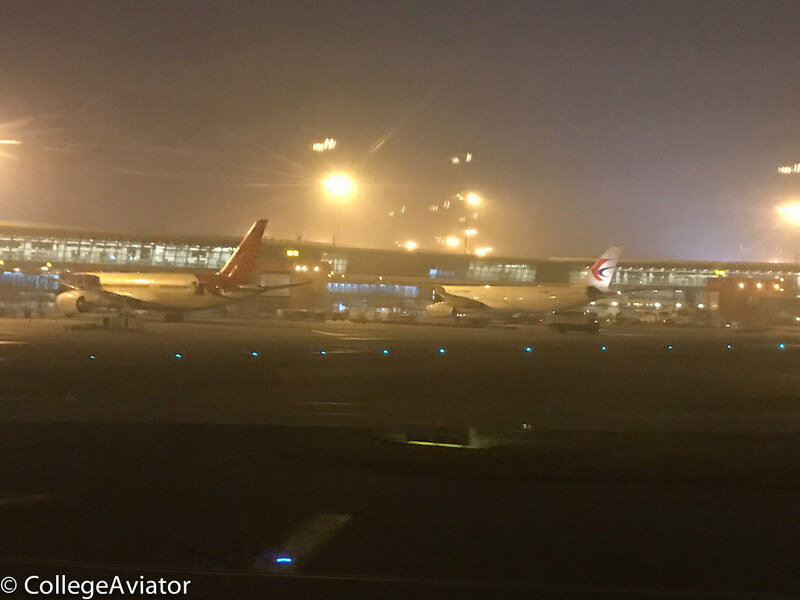 In addition, VT-ANG (the 787) operating AI701 from Kolkata to Delhi had arrived before time. So it came down to this: should I have stuck to the plan, in hindsight? 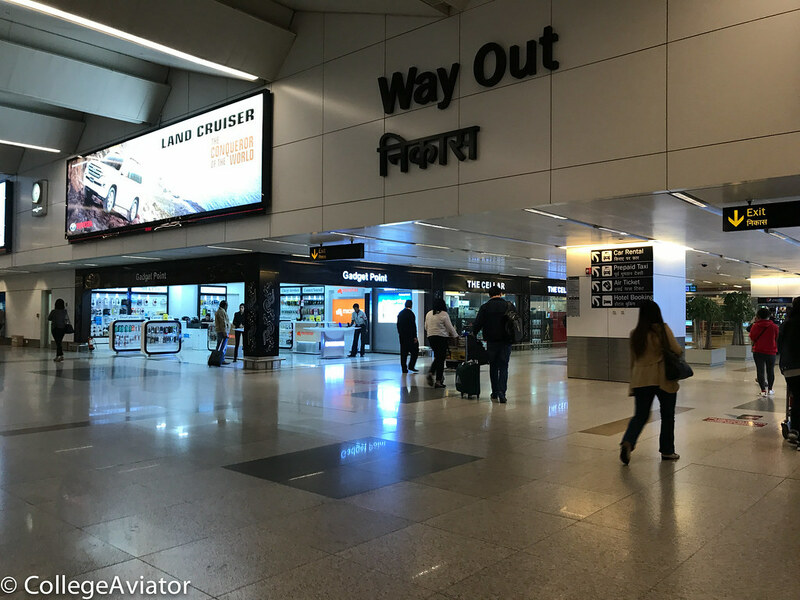 It was now counting down to step 2, the departure out of New Delhi…. Thie TR makes me want to fly Vistara. I havent yet been on board and hope that in the near future will get my chance. I'm happy that you enjoyed reading this. UK are a great airline and I hope they keep it up! 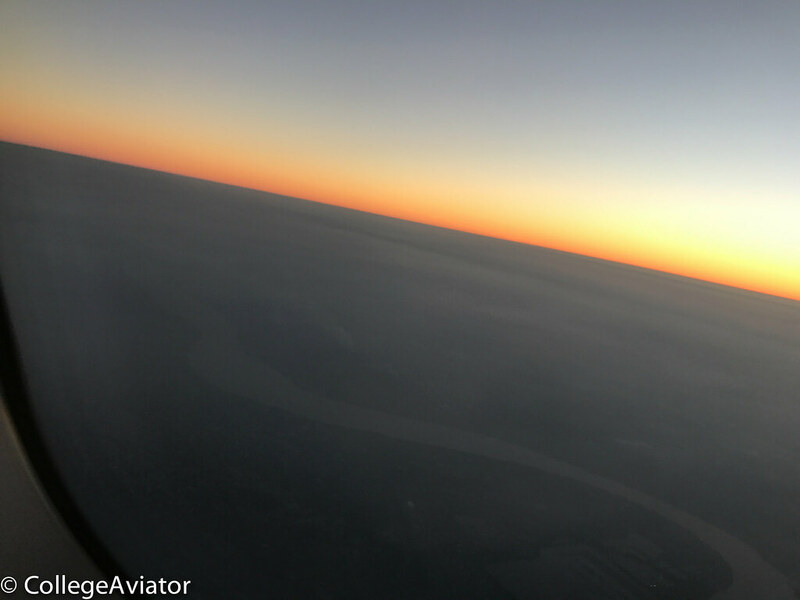 Great trip report as usual, CollegeAviator! Looking forward to the next one. I'm happy to know that you enjoyed this one. Any animal well loved and nurtured will forever be part of family: as some say, they may be more human than humans themselves, especially dogs. 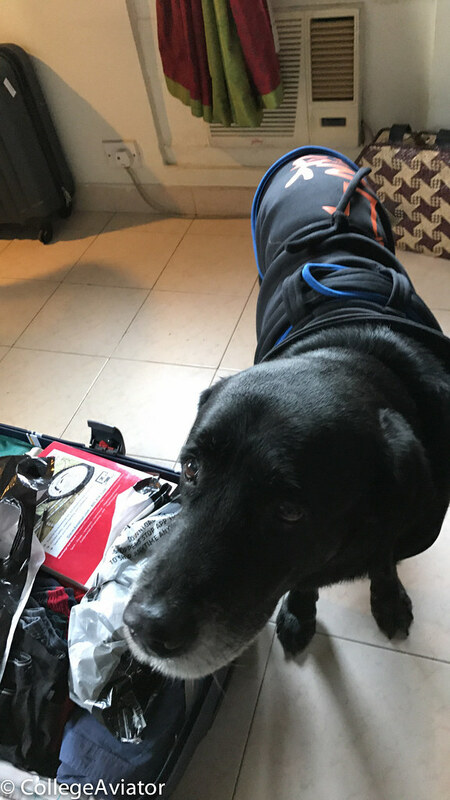 With that being said - since my reports are delayed due to various circumstances, an untimely spoiler here: Dobby was put down just 2 weeks before I headed for India during the summer. I was absolutely devastated being thousands of miles away, but there was nothing to be done. His struggle during his final 2 months was unbearable, both for him & us, but he is out of his pain. An amazing 12 years with him! Hope you see Dobby again, I have a Dobby of my own (though she is a dachshund). 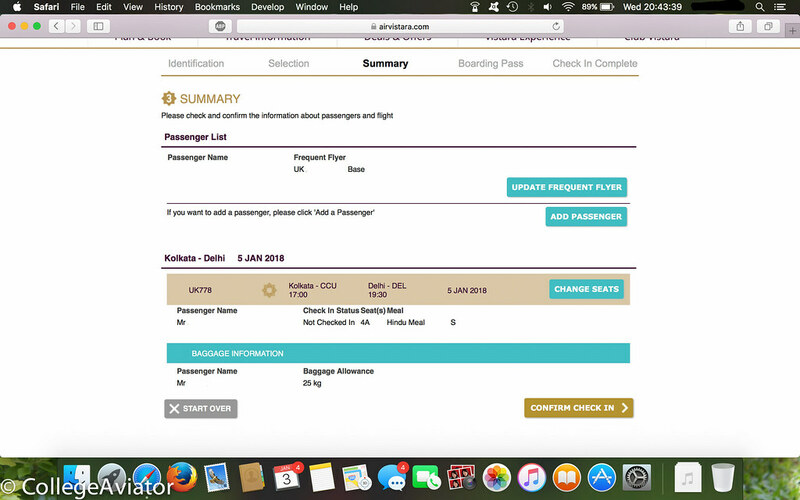 Glad to see that SIA is rubbing off on Vistara. Looking forward to more great trip reports! Love to see your TRs, and it seems UK has really upped its business game. I can't wait to see their 787 product. And may your best friend (as per the adage) rest in peace. My deepest condolences.